As happens during cold snaps today, the first winter was not free from worry as ice sheets move through with the tides, threatening pilings in the marina. The old scow of the houseboat is visible and at this time the building probably lifted with very high tides. The south side of the building reads “Regular Bait for Regular Fishermen“. 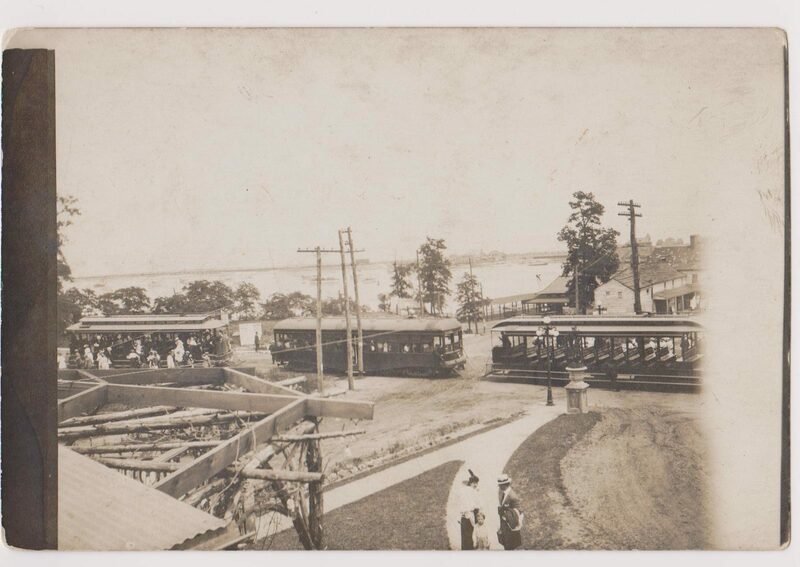 Behind and to the right is Creighton’s Dancing Pavilion, (later to be Kruse’s) which featured an outdoor pavilion with orchestras for dancing and amusement pier where the excursion boats of the old Patten Line docked. The photo may have been taken from the foot-bridge of the train trestle that led over to Sandlass Beach. 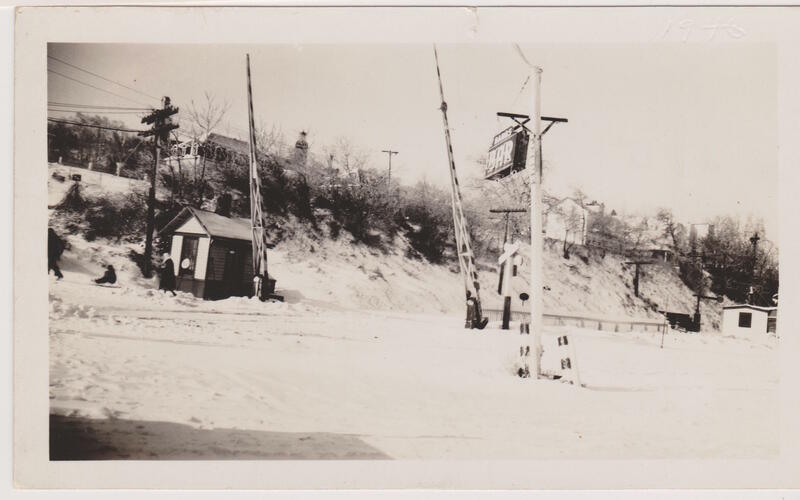 The area was a hub of activity as the Highlands train station, newspaper stand, trolley stop and taxi’s were all located here. 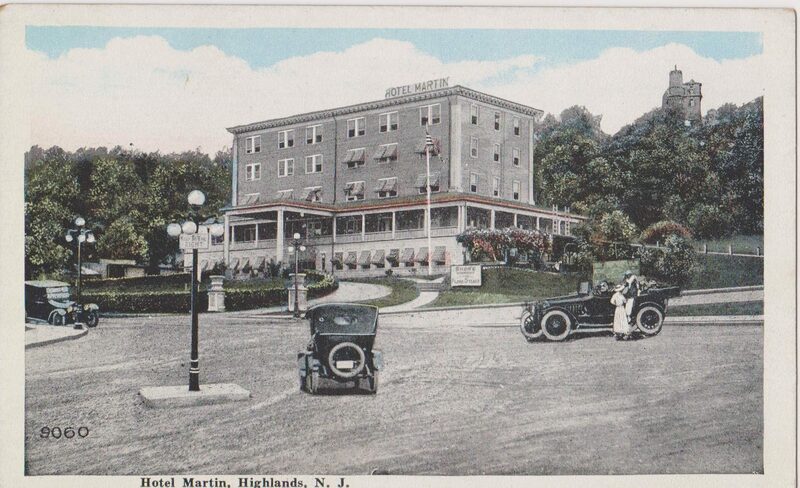 Up the hill on Highland Avenue were the Victoria Hotel, Martin Hotel and Monmouth Hotel. 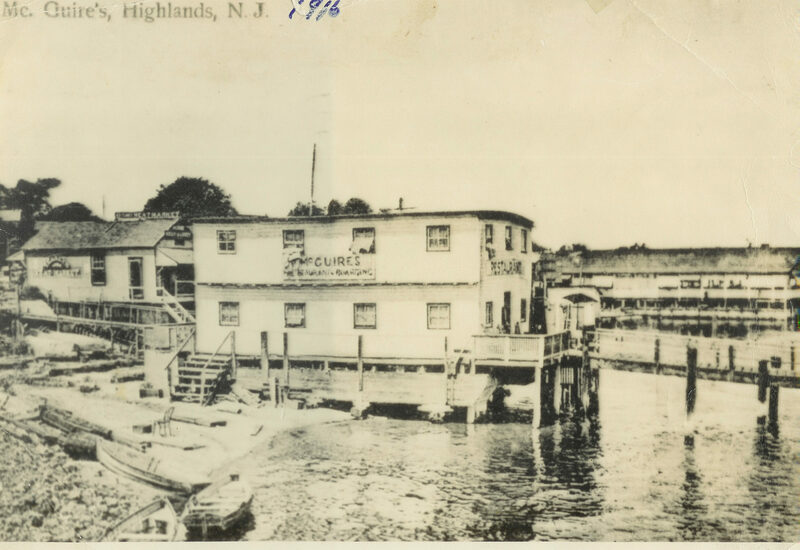 In 1914, River Avenue, which today is Bay Avenue, had a number of shops including a roller skating rink, Albion Hotel and bungalows, the Highlands Public Bathing Beach, Sheldon’s Launch Ride and Pier, Jack Charles’ rowboats, Blair’s Restaurant and Fish Store, Johnson’s Drug Store then the newspaper stand, railroad station and bridge. 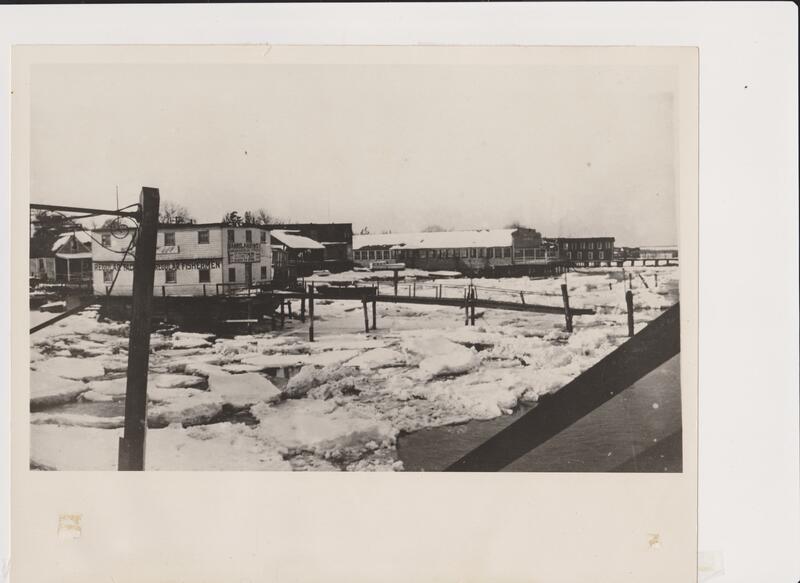 Two steamboat docks were located just south of the bridge and within walking distance of the docks were the East View Hotel, Swift’s Cottages, and the Hotel Thompson. Adjacent were a bowling alley, billiard room, and post office. (These details can been seen on Sanborne Map # 51 of 1914). Also designated on the Sanborne map is the McGuire Boathouse which three years later will become Bahrs Landing, just to the right of the RR bridge. 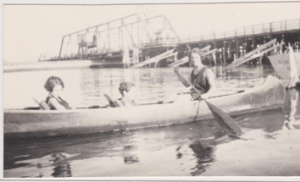 Florence Bahrs canoeing with children. This photo shows the railroad swing arm bridge that crosses the Shrewsbury River to Sea Bright. The arm swung out to allow steamers through.